LJ Moreno encourages moms to not give up on their fitness goals: "To my fellow mamas who are trying to get back in to shape keep going we can do this!" LJ Moreno, mom of three, is nearly back to her "pre-wedding" weight of 115 pounds. After a full year of training under boxing coach Edwin Mondala, LJ has successfully shed 30 pounds off her current weight. The celebrity mom posted on Instagram her transformation photo from 2018, when she weighed 150 pounds, to present, and revealed how she lost the extra weight. In a gist, the mom of Ian, Keona, and Calen trained three to four times a week, doing a combination of yoga, Muay Thai, kickboxing, and zumba. She also tweaked her eating habits by following a low-carbohydrates and low-sugar diet. "For those that have been asking how I lost the weight, it's because I eat a lot better now..." she mentioned in her Instagram post. Here's her complete caption: "Been training with coach @mondalaedwin for a year now. "He posted the photo on the left today so I wanted to take another one to see the progress. "I weighed 150 lbs. on the left photo and even if I was convinced the weighing scale was broken, I made a decision to get back in shape. "I challenged myself to get back to my pre-wedding weight which is 115 lbs. "those were the days when @tjgroves and I would do yoga 4-5 times a week! 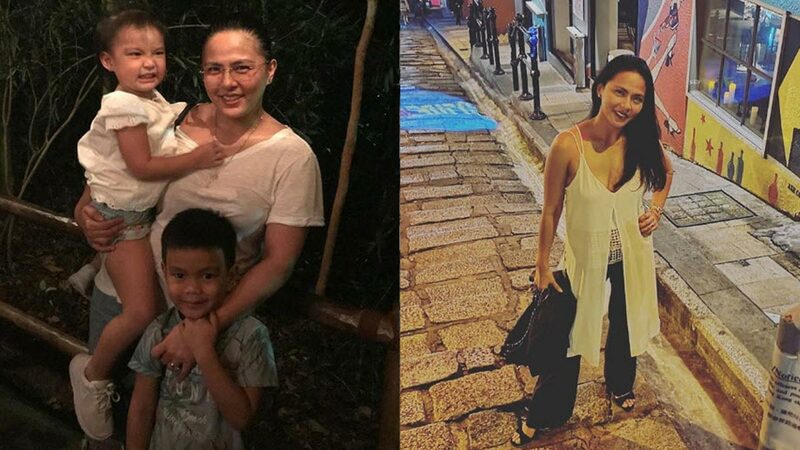 "I thought I wouldn't be able to do it because of how busy my schedule is specially with the 3 kids but when you want to achieve something you really just have to make time and put your mind to it. "Today I'm at 120lbs. 5 pounds away from my goal!" To her fellow moms, she said, "Keep going, we can do this!"